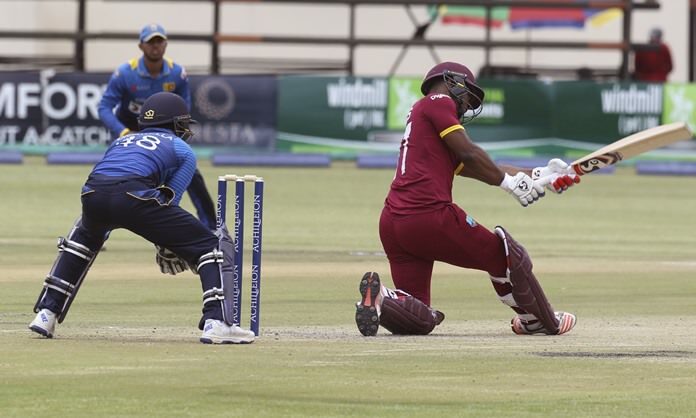 Harare, Zimbabwe (AP) — Ashley Nurse took 3-46 on debut for the West Indies, helping his team bowl Sri Lanka out for 165 to win by 62 runs in their triangular series one-day international in Zimbabwe on Wednesday. Off-spinner Nurse and quick bowler Shannon Gabriel (3-31) were the outstanding bowlers for the West Indies, who only made 227 batting first but ended up defending that modest total with ease. The West Indies fielded a team with three players making their ODI debuts: Nurse, and batsmen Shai Hope, who made 47, and Rovman Powell, who made 44. Jonathan Carter top-scored for the West Indies with 54. Sri Lanka were in trouble at 79-6 after Nurse removed Upul Tharanga and Asela Gunaratne in quick succession. Sachith Pathirana made 45 but Sri Lanka didn’t threaten the West Indies total.